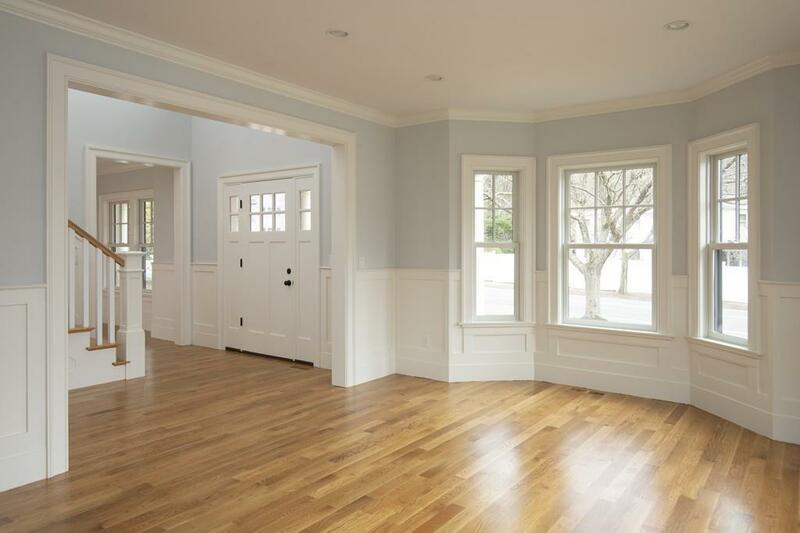 Beautiful New Construction 5 bedroom 4.5 bath colonial home located in the Chestnut Hill area of South Brookline. The modern open floor plan offers a spacious gourmet kitchen with stainless appliances, white cabinetry, huge island, quartz counter tops and a large separate eating area all which is open to the fire-placed family room. The family room has french doors that open onto a mahogany deck overlooking a spacious, professionally landscaped back yard. 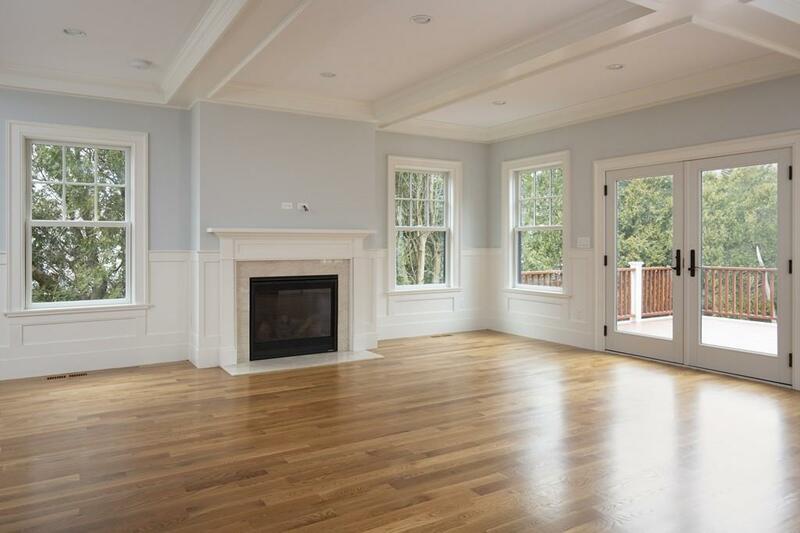 There is an additional open living room area as well as wet bar off the formal dining room. The mudroom which leads to the insulated 2 car garage and powder room complete this floor. 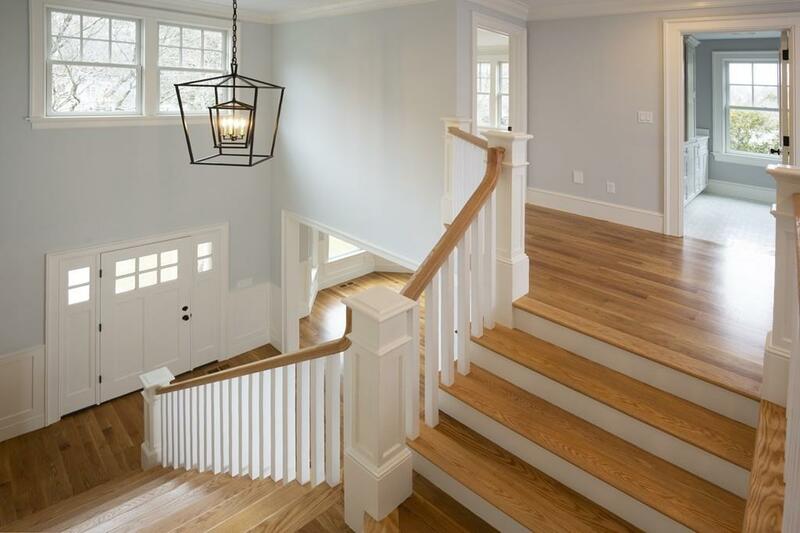 The grand 2 story foyer with its wide open staircase leads to the 2nd floor which offers 5 good sized bedrooms, 4 full baths including the master suite and laundry room. There is full attic storage and ample basement storage. A convenient location with easy access to Boston, shops, schools and public transportation. Listing courtesy of Elizabeth Andres Miner of William Raveis R.E. & Home Services. Sq Ft Disclosures Does Not include Large Unfinished Lower Level Or insulated Two Car Garage. Listing provided courtesy of Elizabeth Andres Miner of William Raveis R.E. & Home Services.